If Lucy Christopher's name hadn't been printed on the cover of this novel, I wouldn't have believed she wrote it. Granted, the prose is gorgeous, but the emotional complexity, character depth, and general plot originality I've come to expect from the author of Stolen wasn't present in this novel. Not in the least. Admittedly, I didn't expect The Killing Woods to be another Stolen, but I didn't expect to feel so apathetic to it as a whole either. Told in alternating points of view, Christopher's latest is about a young girl whose father is charged with the murder of her classmate. Where The Killing Woods shines is in its portrayal of the emotions Emily feels, both after her father is accused and during his trial. What makes this situation so black-and-white is the fact that Emily's father has been suffering from PTSD after returning from the war and is often unable to discern from memory and his own reality. Thus, as Emily is left to pick up the pieces of human cruelty - friends abandoning her, questioning if she's a killer too - and confusion - who could have committed the murder? Damon, as the boyfriend of the murdered girl, is both outraged over her death and worried. Just the night before he had been out in the woods with her, high, and doesn't quite remember what happened. If he killed her, he wouldn't even know how he had done it, or why for that matter. While this premise and set-up is fascinating, the slow unveiling of the murder isn't. Both Damon and Emily remain flat characters, never truly coming alive, and the story itself drags, bogged down by clunky chapters of Damon running through the woods, trying to remember what happened the night his girlfriend died, and Emily perusing her father's bunkers for clues of his guilt. Although the eventual reveal is satisfactory, the book as a whole is dull and forgettable. For fans of Christopher, I am afraid this will wind up being nothing more than a disappointment. And for those new to her work, do yourself a favor and pick up Stolen. It'll blow your mind; promise. I practically squealed when I realized that The Chocolate Temptation finally took us deeper into these delectable kitchens than the previous novels ever have. Patrick is in charge of Sarah and, as always, Florand is the master of sexual tension. If you thought the heat from the ovens was hot, think again, because the steam between these two as they brush against each other in the kitchens is sizzling. Patrick, for instance, can't stop thinking about Sarah - about the concentration with which she does her work, her pure dedication to perfecting the art of cooking, and the passion she throws into work, tiring day after tiring day. On the other hand, Sarah cannot help but admire Patrick's talent, all while hating the way he will break her heart someday, even without realizing it. As Sarah and Patrick get closer, however, they begin to realize that their facades of perfection are just that: masks. For me, the Florand's novels always have a two-fold appeal. One: the tension. As I keep mentioning, Florand's writing is divine. It just curls its way into your heart, creating emotion where there was none before. And two: the depth. Each of Florand's novels are romances about broken individuals, not necessarily broken in the same way or to the same degree, but who have barriers around their lives. What I particularly love is that she tackles a new issue with every one of her books, making them all such a delight to read. With Sarah and Patrick, both of them suffer from severe insecurity. Sarah, as a replacement child for the son who was killed in North Korea, never feels as if she's up to the mark and Patrick, a foster child, feels the same. Nevertheless, seeing them work through their struggles and find a way to trust and support one another was heart-warming. Moreover, what I really love about Sarah and Patrick's relationship is that each of them have different dreams, but make conscious efforts to pursue them. Sarah, for instance, was a successful engineer in Caltech but she left her home and family behind to begin her life-long wish of sugar-making. Both the courage and guilt Sarah feels at pursuing her own dream, selfishly some would say, is depicted perfectly. Similarly, Patrick who - ironically - wishes he could be an engineer undergoes a mental journey as he realizes that dreams change with time and what he wanted as a twelve-year-old boy is not necessarily what he wants as a man now. Florand always touches upon such honest aspects of adult life with her novels that I feel enriched having read them. While the last few chapters of this book could veer on the lovey-dovey side, her books never fail to sate my thirst and bring a smile upon my face. Just as I expected, The Chocolate Temptation is a winner; another one. That's a bummer about The Killing Woods. I've been looking forward to it since I love mysteries so much. I really enjoyed Stolen even though I was worried I wouldn't so this is a disappointment. Great honest review, my dear. Love seeing your four stars for The Chocolate Temptation! I got a copy as well and I can't wait to read Patrick's story. I won't read your review until I'm done with it. Well, even though The Killing Woods didn't work, at least the chocolate book did! Of course, how can you go wrong with chocolate and sexual tension? You can't. Okay. I seriously need to start the Laura Florand series. It's a snowy, cold day here and I'm definitely craving chocolate, so I think it might be the perfect time to give her chocolate series a try. I've heard nothing but good things about it, and I love that she's one of those authors that just never disappoints for you! Ah, I really need to pick up Stolen! I've heard so many different people raving about it, including you, and so I must do it soon. 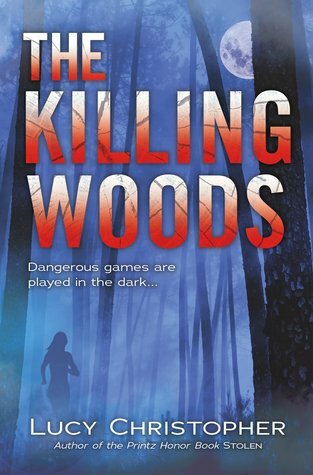 However, I'm so sorry that The Killing Woods was a disappointment for you! It really seems like there was ample opportunity for the author to really delve into the characters' emotions and make them very real, but I guess that ultimately failed. :/ I was thinking about reading The Killing Woods, but I guess now I'll be skipping it. Also, I really need to start Florand's series! I'm really loving the sound of this romance, as it progresses from hate to love. I also love how these characters are insecure, yet find security in each other. Plus, following their dreams? That's definitely something that I want to read. I haven't read Stolen yet (though I have it) but I didn't care for The Killing Woods either. I couldn't seem to stop reading it because I needed to know who was guilty, but when I found out I felt disappointed for some reason. I'm not sure what I expected, but maybe just MORE. I don't think I've heard of Laura Florand but it sounds like a cute book! That's too bad that you felt as though The Killing Woods didn't live up to its potential. I'm not so much a fan of murder mysteries as it is, so this is just further confirmation that I need to read Christopher's Stolen instead to appreciate her work. 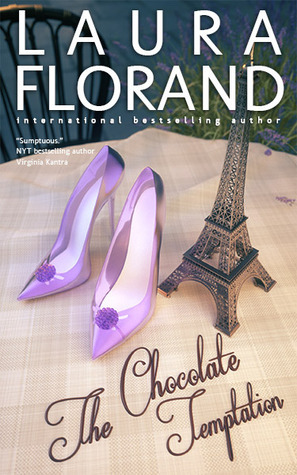 One day I really will delve into Florand's Amor et Chocolat series. I will! Seeing glowing review after glowing review of yours on this series has given me high expectations (but achievable ones, I should think). That's great you think the series is still going strong, too! Well I adored Stolen with every fiber of my being and you have no idea how happy I was when I heard Lucy was writing another story. I'd give my firstborn for that. But sadly you and many other who have read the book opened my own eyes. I mean I get that this story is different, but I don't think I'd appreciate the lack of her poetic narrative so much. So sad to hear this, but well I still have Stolen I guess.